Map of Tunisia in the world. 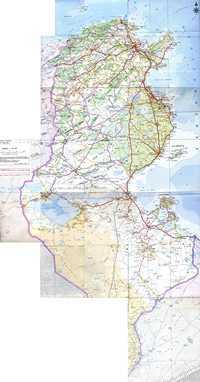 Map of roads, rivers and airports in Tunisia. Map of major cities, regions and airports in Tunisia. 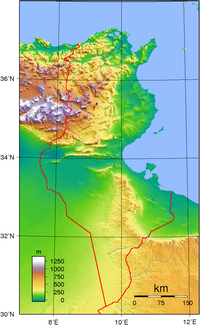 Topographic map of Tunisia with altitude in meters. 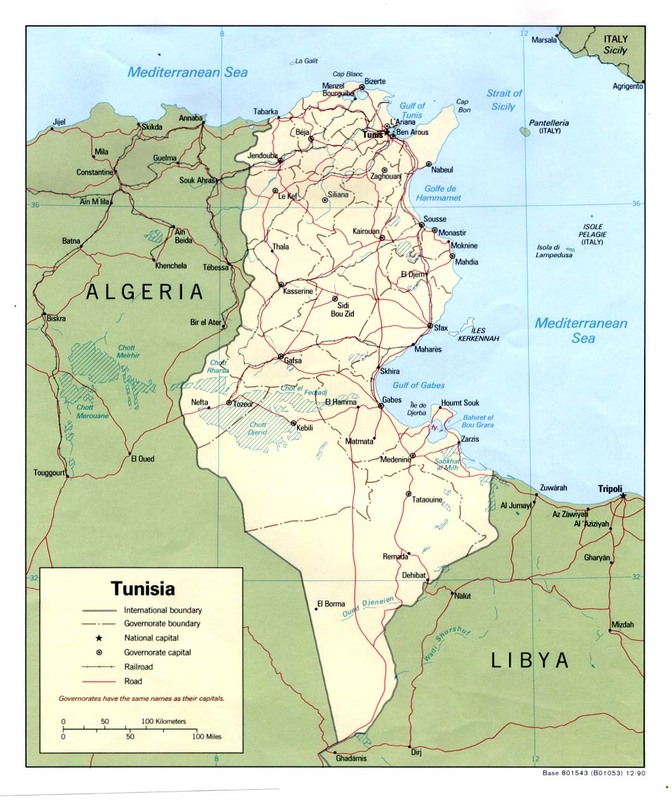 Large detailed map of Tunisia. 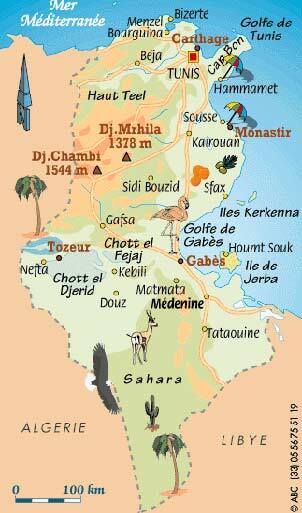 Vegetation map and the deserts of Tunisia. 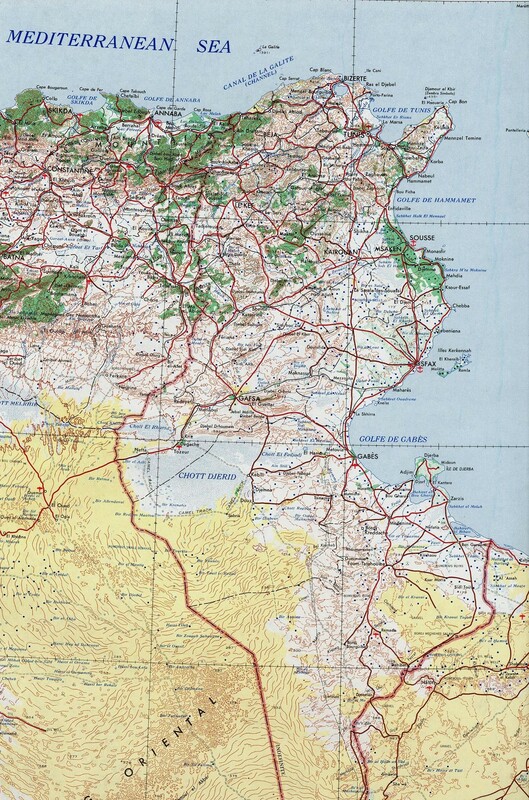 Roads Map of golf caps and Tunisia. 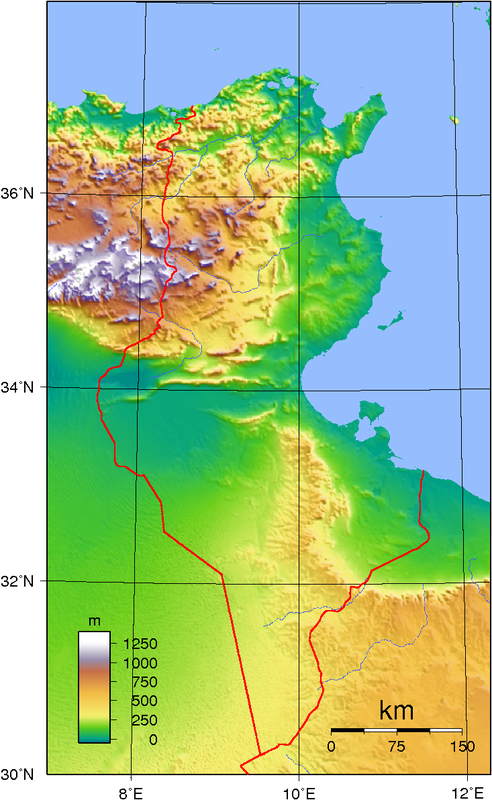 Relief Map of Tunisia with altitude and depth. Map of average wind speed in Tunisia. Map of flood risk in Tunisia. Seismic hazard map in Tunisia. 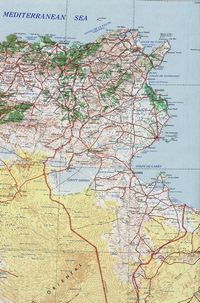 Map of Tunisia's borders with the railways, the capital and the capitals of each region. 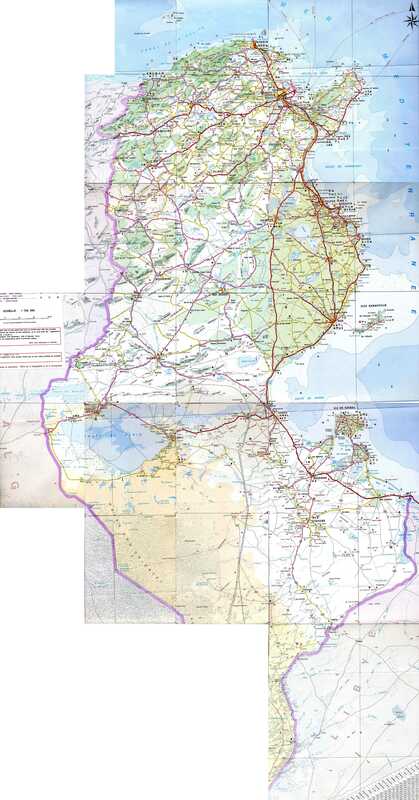 Map of Tunisia golf clubs, spa and diving.